The debut album from the now legendary Northern Ireland band U2 came to my attention who gave me a copy on a cassette on which he recorded from the record. Since I had no clue on anything about the band, I had to go on the music that the tape was pumping out of the speakers on my car stereo. Listening to what some have labelled their post punk, new wave sound a picture of what I believed they looked like began forming in my mind. I saw them as the standard four piece two guitar, bass and drum type of band with hair styles similar to the boy on the album cover and wearing brown tweed jackets and ties. I guess the closest thing would be sort of a combination of The Jam meets The Knack. The image of them would remain with me for another two years until when I would see that that image was completely wrong. Thankfully, I never cared too much about images but put my faith in the music. When I first listened to “Boy,” I was convinced by its conclusion forty minutes later that this was a good album. Even though there was no track listing, I knew the opener was a fantastic song and “I Will Follow” is still my all time favourite U2 song. I didn’t need a track listing to see how tight this band was as the songs were very good. One advantage of not knowing the track titles is that I was compelled to listen that much closer to get an idea of what a track might be called from the lyrics. So, the track “A Day Without Me” isn’t really called “You started a landslide in my ego” but that doesn’t stop it from being a great song nor did it stop it from sticking in my head for over thirty years. Other tracks that stick in my head turn out to be “An Cat Dubh,” “Out of Control” and “Stories for Boys” and I have to say that “Shadows in Tall Trees” makes for an interesting closer. I said in my last post that I would be visiting something that was a triumph in 1981 but is now a tragedy, but it’s not U2. Yes, in my view, they were great in the 1980s but would go weird in the 90s but it is albums like “Boy” that keep me listening. What I didn’t know when I first listened to this album is how they would go onto greater things. This entry was posted on April 18, 2014 at 7:51 pm and is filed under 1980s, Music, Rock, Uncategorized with tags Boy, British, Classic Rock, hard rock, Ireland, punk, The 1980s, U2. You can follow any responses to this entry through the RSS 2.0 feed. You can leave a response, or trackback from your own site. You’re totally right, of course, ‘I Will Follow’ is a wonderful track, I’m fond of ‘Electric Company’ too. Actually, there’s not really a bad song on this entire album. 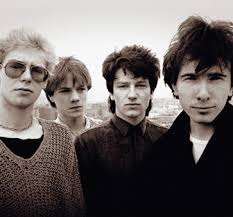 This is the kind of U2 I prefer. Like you I think they went a bit weird in the 90’s, especially with Zooropa and Pop. We’re definitely in agreement here, thanks. 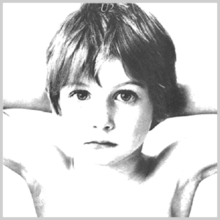 I am in LOVE with this album, and it is my most recent U2 acquisition, even though I cut my teeth on The Unforgettable Fire and War. I, too don’t care much for their Zoo TV times, but their later stuff is pretty good. They did get back on track a bit after the turn of the century but the albums you mention are definitely among their best.